While organizing my photos the other day I came across these pics of Split, Croatia, and I realized that I had never shared them with you. It's a shame because it's a trully beautiful place. Two years ago we embarked on a cruise that took us around the Greek Islands but first we visited Venice and Split. When I think about Croatia the first place that comes to mind is Dubrovnik. It has become a favorite among summer vacation destinations in recent years. However, when I found out that our cruise was stopping at Split instead I was intrigued. I had never heard about this city but I was happy to avoid the crowds in Dubrovnik. I tend to do the opposite of most people: if a place becomes popular, I prefer to go somewhere else. Split did not disappoint. We fell in love with the mixture of ancient and modern history. It's actually the second largest city in Croatia, after Zagreb. Its #1 sight is Diocletian’s Palace, a Unesco World Heritage site and one of the world’s most impressive Roman monuments. The Palace was built in the 4th century as a military fortress. The narrow streets around it lead to courtyards and passageways where you can see locals hanging their laundry to dry or people watching amused by the increasing number of tourists that visit Split. The magic and charm of Split lie in its old town full of cool bars, cafés, lovely restaurants and shops amidst Roman walls. It is also surrounded by the most beautiful landscape with mountains as a backdrop and the turquoise waters of the Adriatic Sea on the waterfront. The seafront promenade, Riva, is the other place to be. There are plenty of outdoor dining areas to sit down and enjoy a drink for hours. Trg Republike (Republic Square) is another great spot to sip a coffee while people watching. The square, constructed in a Venetian style, is a well-renowned gathering point. Concerts and festivals are celebrated here. There's also an interesting underground market called Podrum which is an old prison underneath Diocletian's Palace. Finally, the Grgur Ninski Statue which honors the bishop that opposed the Pope and introduced the Croatian language into Catholic services. It is said that rubbing his toe brings good luck. Split is not very big and you can see it on foot. My advice is to get lost among the stone-walled buildings to explore the city and find all the hidden gems. Wow this place is gorgeous!! I love seeing all of these phots and I've honestly never heard of Split before- but it's BEAUTIFUL!!!!! Thanks for sharing! This looks absolutely beautiful. Croatia is on my hunny and my bucket list for travel! These photos are gorgeous! I never really thought to add Croatia to my travel bucket list, but I may have to now. This trip looks like so much fun! Beautiful pictures! I wish I was able to travel more. I did not realize how elegant and regal Croatia can be - these are marvelous photos and make me want to go there! These are absolutely stunning photographs, Cristina! Thanks for sharing :) Looks like it was such a nice trip! What beautiful places to visit and see! I hope to one day travel across seas. A friend of mine is taking her first trip to Europe and she is going to be in Venice and Croatia but she didn't know where to hit in Croatia. I am sending this along to her because I think this is a must see! WOW, Croatia looks amazing! These photos are stunning, sounds and looks like a fabulous place to visit! I visited Split less than a month ago and we absolutely loved the city! I wish I would stayed longer there. As a matter of fact, we are preparing Dalmatian Swiss chard tomorrow. Did you try the dish while there? No, I didn't. Since we were on a cruise, we had most of our meals on the ship so unfortunately we didn't try many local dishes. Thank you for sharing! What beauiful outdoor places! I love to sit and enjoy a drink and enjoy the view. Love the architecture as well. Look at the scenery!! Surely a place to play tourist. You look so beautiful in your outfit and your smile is everything. Thanks for sharing these lovely pictures! And your sweet little skirt was perfect for exploring. Wow! It's absolutely stunning! Love what your wearing too. What a lovely place, so many beautiful things to see in this country. Those outdoor spaces are truly gorgeous. Its never too late to share beautiful photos! Split looks amazing! Oh my gosh, absolutely stunning!! I'm dying to go to Croatia. These pictures are absolutely stunning! I guess I need to add it to my bucket list! I really want to see Dubrovnik and I totally don't mind the crowd. 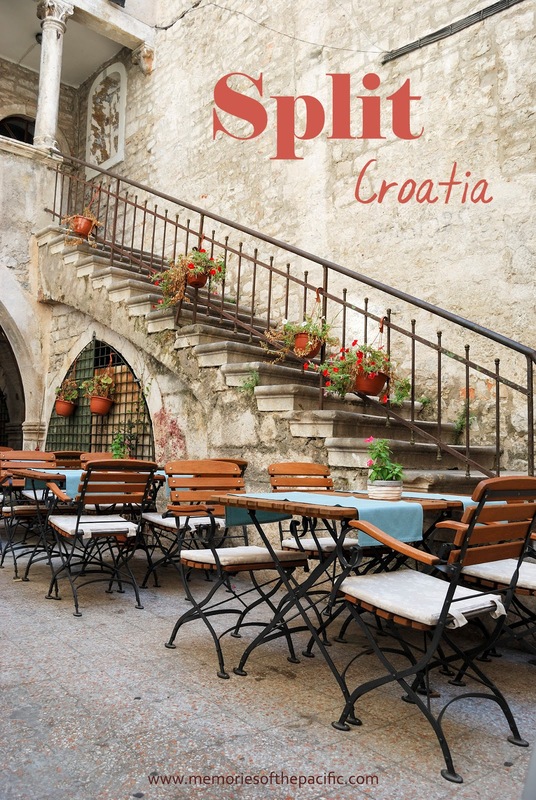 This year I'm going for summer holidays to Croatia and I hope I will be able to see Split as well - it looks divine in your pictures and I can bet you had loads of fun out there! How breathtaking. I've never left the country (except St. Lucia for our honeymoon) and never had much desire but now, I definitely want to see Croatia! This is the type of holiday that hits the spot. It is not too overrated and super crowded. And that's the best part, enjoying the view, experiencing the culture of the place and not getting worried about anything at all.